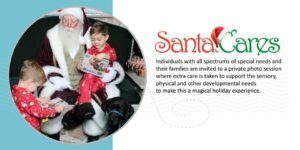 Families with special needs can experience the time-honored tradition of a visit with Santa during an event created just for them! Event will be held at the Santa Set in Center Court. The Junior League of Fort Smith is excited to release the locations of five Fort Smith homes that will be decorated for Christmas and featured on the 4thAnnual Holiday Home Tour.